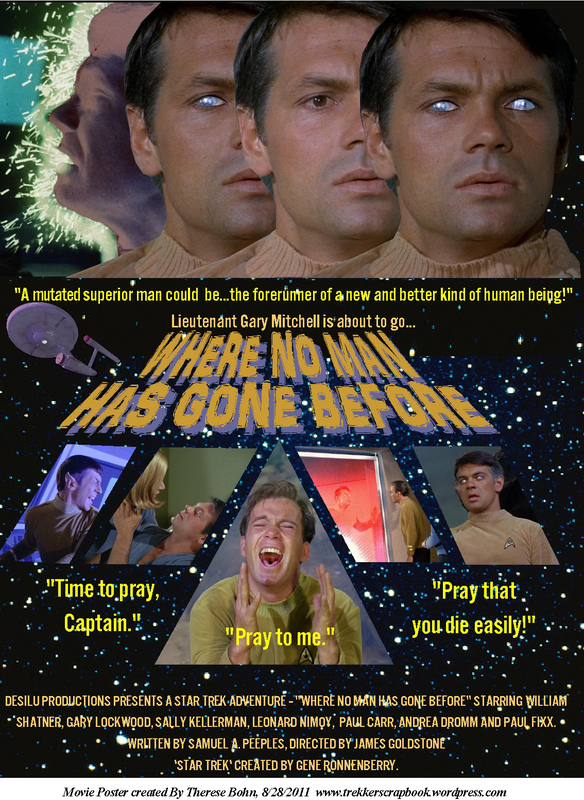 This entry was posted in Movies, My Star Trek Posters, Pop Culture-Past and Present and tagged Gary Lockwood, Gary Mitchell, Gene Roddenberry, Leonard Nimoy, Movie, Poster, Sally Kellerman, Star Trek, Therese Bohn, Where No Man Has Gone Before, WIlliam Shatner. Bookmark the permalink. Gary Mitchell held the rank of Lieutenant Commander, not Lieutenant. Oops! Oh well! Hope you like it anyway!